Wanderlust is defined as a strong, innate desire to rove or travel about. Some people have this. Maybe they were bitten by a "travel bug". And I am not exempted. I always have this desire to see things, to experience different places, to enjoy God's creation, or just to be in place where I haven't been before. Yes, that's wanderlust. But all of us understand that traveling also requires money. So what I will discuss here is to give you a quick background on how I fund my wanderlust. In other words, where do I get the money for my journeys? My basic principle in my travels is, to work and save and when vacation time comes, book a ticket and travel, as simple as that. So what do I do when I'm not traveling? I'm working. I work as a teacher in Thailand- the center of backpackers in Southeast Asia. Just like many travelers in Asia, I teach English. I started as an ESL (English as a Second Language) teacher in one of the bilingual schools in Thailand. The good thing about being a teacher is, we have lots of holidays. We have semester break, summer break, and Christmas break. So I make use of those holidays for travel. And currently, I am very blessed to be working now in an International School. And instead of teaching English, I am now teaching Health, which is related to my degree. It’s a blessing from God, because International schools pay more compared to bilingual schools. Not only that, I also teach swimming as an after-school club in our school. By that, I can have extra for my travel fund. 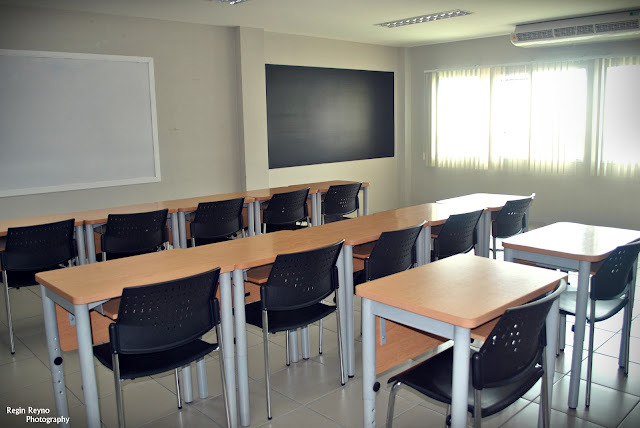 The school also asked me to teach photography as an extra class, next school year. That's another extra pay again. And to save money, I just rented an affordable studio-type apartment. Not those cozy high-rise condominiums. Because the more you money you save, the more money you can spend on your travels. I also believe in what the Bible says, that the Lord provides, not just our needs, but also our wants. In the book of Psalms, it says, “Delight yourself in the LORD and he will give you the desires of your heart.” Psalms 37:4. And what is the desire of my heart? To travel. So if we delight our self in the Lord and by doing His will, and claim His promise, the Lord will provide us, even our travel fund. I fully believe on this because I’ve experienced it, and continuously experiencing it. I’ll talk about this in other post. But just to give you a brief background. Out of the 16 countries that I’ve travelled to, 13 of those, I didn’t spend a single cent. God provided the fund in using various people. And presently, I’ll be going again to another country, without spending a single cent. “Every good and perfect gift is from above, coming down from the Father of the heavenly lights, who does not change like shifting shadows.” James 1:17. Happy traveling! This is an entry to Pinoy Travel Bloggers Blog Carnival themed "How To Fun Your Wanderlust". Click on the Blog Carnival Logo on the left to see more interesting posts regarding the theme. James Betia of Journeying James hosts June 2012 Pinoy Travel Bloggers’ Blog Carnival. 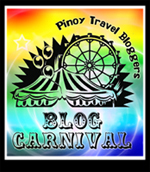 To see the archive of Pinoy Travel Bloggers’ Blog Carnival click here. wanderlust!!! I wanna have that lust too..